So I’ve been taking a little break from baking lately because I’ve been very busy trying to finish up my final few months of my Masters program. The end is near! But, I got some really cute cupcake liners for Easter so I knew I needed to make some cupcakes ASAP. 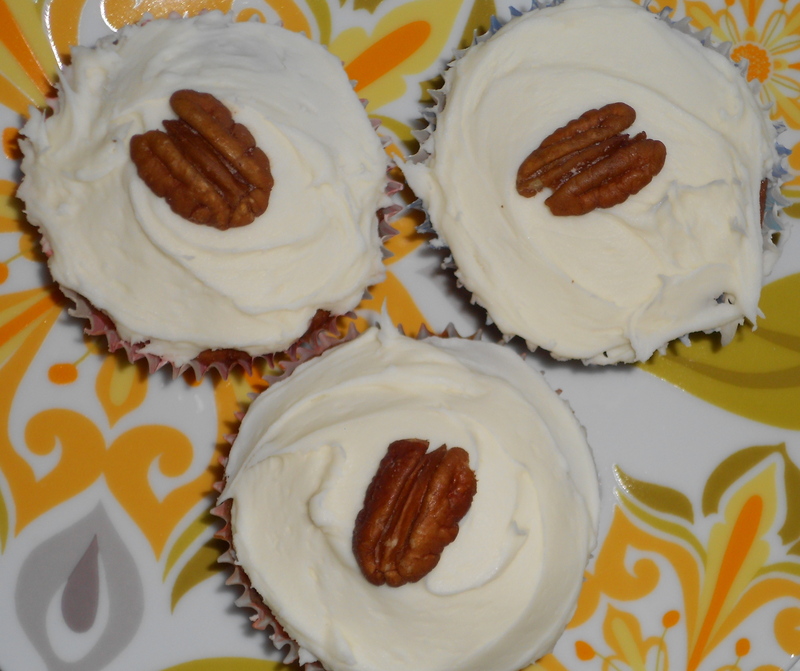 Cupcakes and cakes, for that matter, seem like such a celebration type treat, so I don’t make them on a regular basis. Recently, I’ve seen Paula Deen make hummingbird cake a couple times, and I’ve seen it in various other places, but since I’ve never baked or eaten it, I thought I would give it a try. Hummingbird cake seems to be a southern thing. Based on the ingredients and the final product, I would say it’s in the same family as carrot cake and banana bread. It’s almost like an easier version of carrot cake because you don’t have to grate the carrots. The other great thing about it is that they typical frosting choice is cream cheese. Yum. So I looked around at various recipes, and based on mainly ingredient choices I settled on a recipe from Bake or Break. This blog has an endless amount of delicious baked goods. They always seem decadent, but refined. They’re not wrapping cookie dough around Oreos. These people are real deal. Anywho, the cupcakes turned out great! They’re definitely a great way to mix up your cake repertoire! 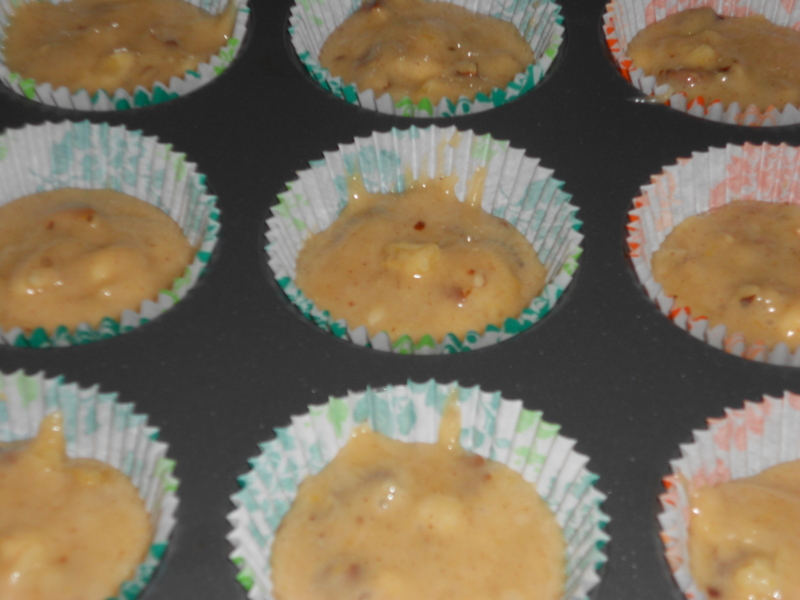 Preheat oven to 350, and get the cupcake pans ready with the liners. Combine flour, baking soda, salt, sugar, and cinnamon in a bowl. Add the eggs, oil and stir until mixture is uniform. Then add the vanilla, pineapple, banana, and pecans and mix until everything is relatively well distributed. Use an ice cream scoop or spoon to distribute batter into cupcake trays. Each cupcake should be about 2/3’s full of batter. Bake about 25 minutes until a tester comes out clean. Allow to cool completely before you put the frosting on top! To make frosting cream together the cream cheese and butter with an electric mixer. Once this mixture is light and fluffy, add the vanilla and the powdered sugar (add the sugar gradually). Mix until frosting is uniform and fluffy. 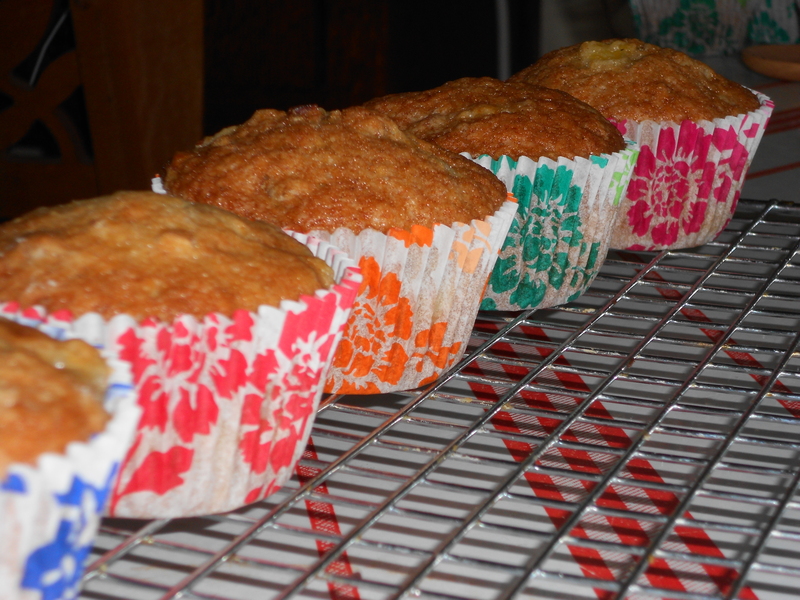 Refrigerate for a few minutes before you put it on the cooled cupcakes. The first time I made this recipe was a baking revelation for me. 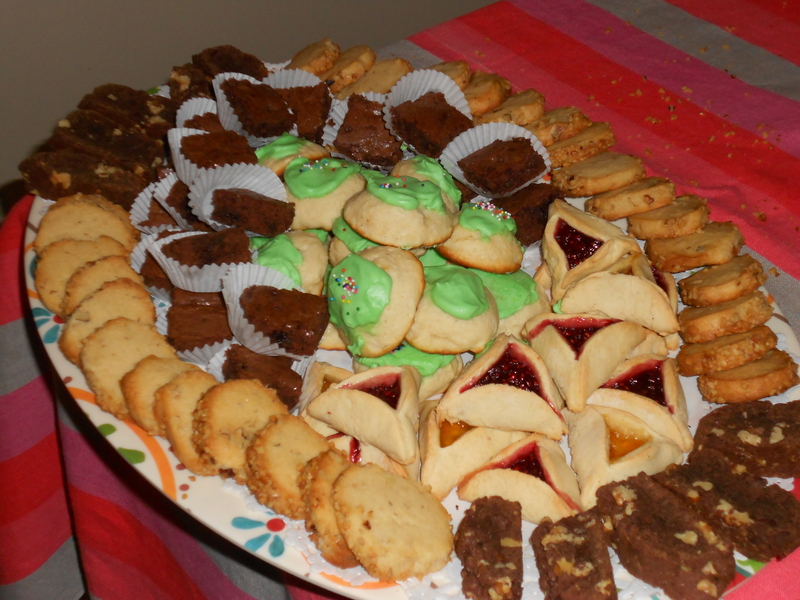 It was a few years ago and I was looking for a few unique cookie recipes to try in the Thanksgiving/Christmas time period because we expecting a considerable amount of visitors at my parents house. I was relatively green in the baking realm at this point and I remember poking around some websites and trying to come up with some good recipes to try. I ended up pulling a few from Martha of course, because she has always been a go-to of mine (with a grain of salt). This recipe came from Martha, and it caught my eye because it was a make ahead dough and the flavors added a good diversity to the recipes I had already picked to make. I was intriuged by the addition of cream cheese to the batter. At this point I only really knew how cream cheese worked in cheesecakes or cream cheese brownies. I was definitely pleasently surprised. 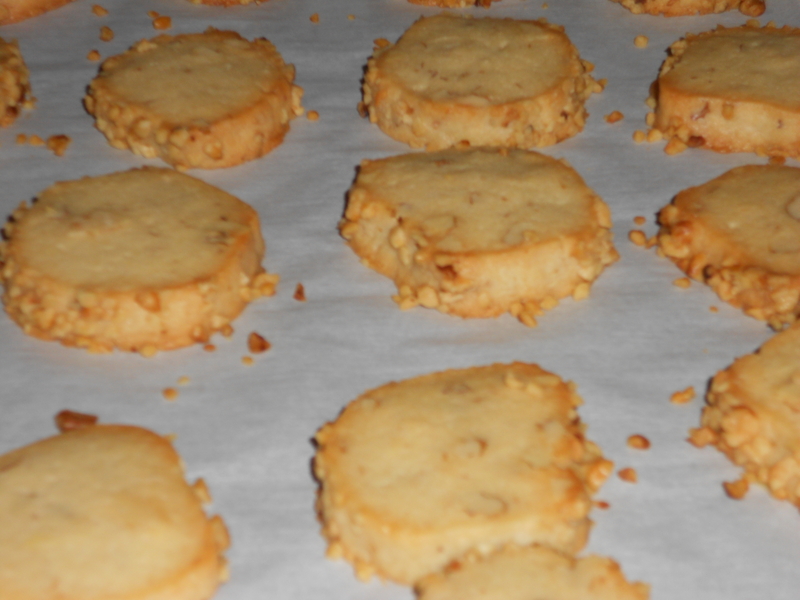 The cookies, which I reently made for the “coffee break” a few weeks ago, are great with a hot beverage because they are kind of plain and crumbly. They function similarly to shortbread but the cream cheese gives them a little bit more moisture than typical shortbread. And I love the addition of the walnuts to add some flavor and crunch. Like I said above, they are a great make ahead dough. You make the dough days or weeks in advance, and form it into logs. When you’re ready to bake them you just slice the logs and bake them off. 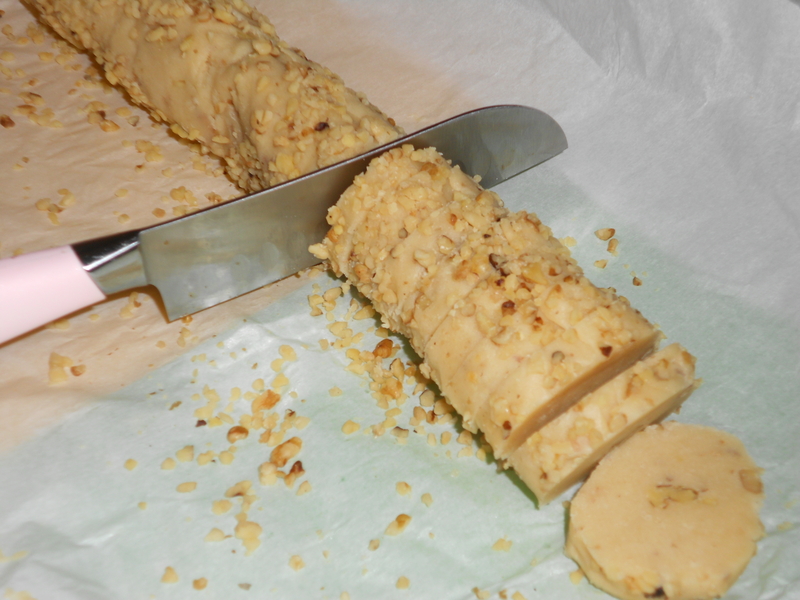 It’s basically the equvilant of when you buy sugar cookie dough logs from the store to slice and bake, except the dough is home made. So frankly, not only the ingredients, but the method was a revelation for me. Combine flour with salt and set aside. 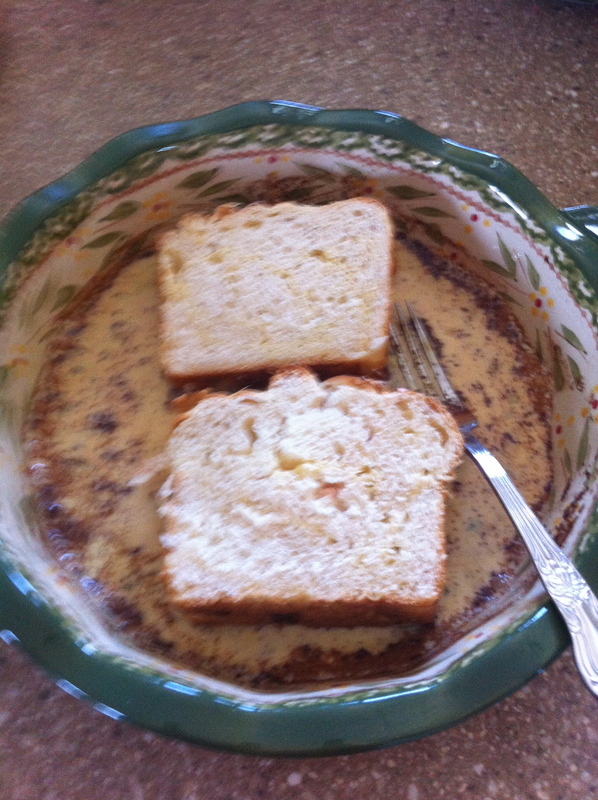 Cream together cream cheese and butter to a uniform whipped consistency with an electric mixer. Add sugar and mix until combined. Then add vanilla. Gradually add in flour then fold in the first 1 1/2 cups of chopped walnuts. Divide the dough into logs that are as thick as the desired diameter of your cookies. Then wrap them in parchment and plastic and chill overnight. Roll the chilled logs of dough in the remaining finely chopped walnuts and slice into cookies. Bake 18-20 minutes until slightly golden brown. Allow to cool and enjoy! If you have a special guest for breakfast on the weekend, this is a simply and impressive dish to prepare for the morning hunger pangs. Take your favorite loaf of bread (in this case, I used cobblestone bread from Ward’s Pastry in Ocean City). Brioche bread also works well. Make sure you have a whole loaf so you can cut the slices extra thick. Here is the recipe to make two stuffed pieces. You can double, triple, or quadruple the recipe depending on how many guests you have to feed. 1. Make an incision in the bread to create a pocket for stuffing. 2. Stuff about a tablespoon of cream cheese into the pocket. 3. In a pie dish, mix together the egg, milk, cinnamon, and vanilla extract. 4. Soak the bread in this mixture on both sides until the egg mixture is absorbed into the bread. 5. Heat a small frying pan with one tbsp canola oil and a small pat of butter. Place the two stuffed slices of bread in the pan. Flip over after about three minutes and cook on the other side. 6. 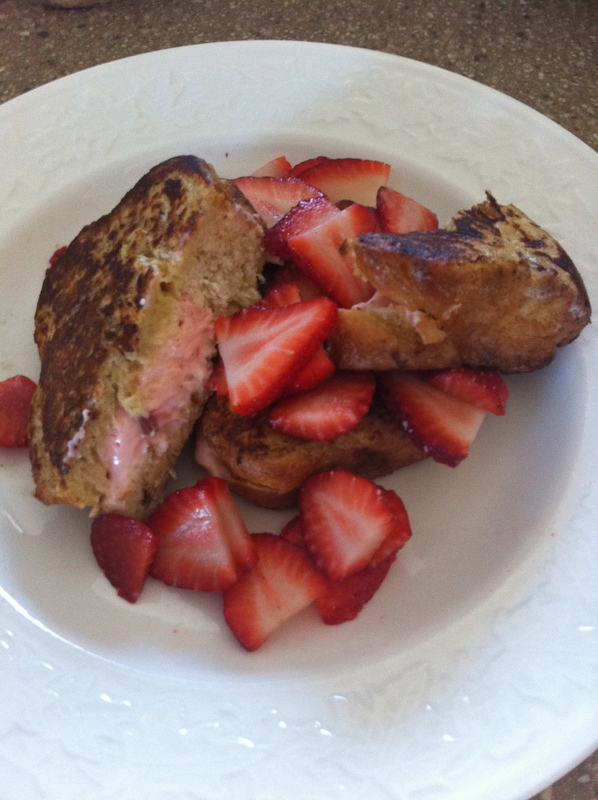 Place french toast on a plate and top with sliced strawberries. Now you are ready to enjoy this delightful treat! Happy Saturday everyone!